The World Enforcement Conference, intending to provide a platform on which countries could exchange enforcement experience and improve enforcement efficiency and effectiveness, opened on Jan 22 in Shanghai. According to the Supreme People's Court (SPC), delegates from nearly 30 countries and two international organizations are in attendance, and will make more than 30 keynote speeches themed on enforcement informatization, online judicial sales, future procedures, enforcement legislation, and other matters. Six topics are in focus at the conference, namely Informatization and enforcement, the future of property investigations, the future of judicial sales, mutual promotion of enforcement and credit system construction, structure of enforcement bodies and the future of legislation enforcement. At the opening ceremony, Zhou Qiang, president and chief justice of the SPC, welcomed the attendees on behalf of the SPC. He said enforcement plays a key role in judicial procedures and reflects the public credibility of the judiciary and judicial authority. It is an important step in protecting the parties' rights and interests. The problem of difficult enforcement is a worldwide challenge. It occurred in the 1980s in China when the number of lawsuits increased dramatically. Resolving the problem has been a focus in China since the 18th National Congress in 2012. For the past four years, China has basically established an enforcement mechanism and mode with Chinese characteristics. Zhou said the SPC is willing to share China's experience in resolving the problem of difficult enforcement and promoting modern enforcement and mentioned as well that China's courts look forward to learning from other countries' experience. He suggested that the judicial agencies of different countries should share enforcement experience, work together to promote modern enforcement and deepen cooperation in the field. Muhammad Hatta Ali, chief justice of the Supreme Court of the Republic of Indonesia, stressed that difficult enforcement is a shared problem of many countries as more and more cross-border cases occur. An easy and efficient enforcement mechanism is necessary which means judicial agencies must make innovations and reforms in enforcement methods, he said. 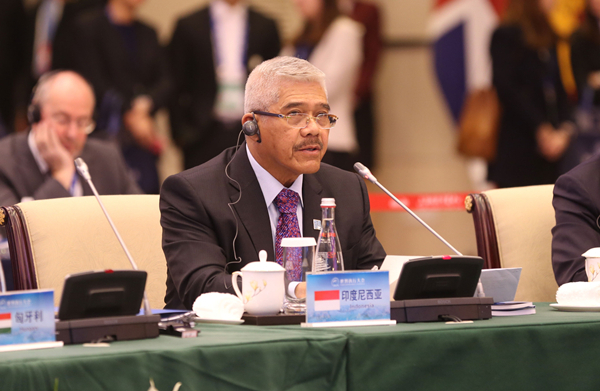 In addition, he added that he hoped delegates from various countries would learn from each other to improve national enforcement of civil judgments. 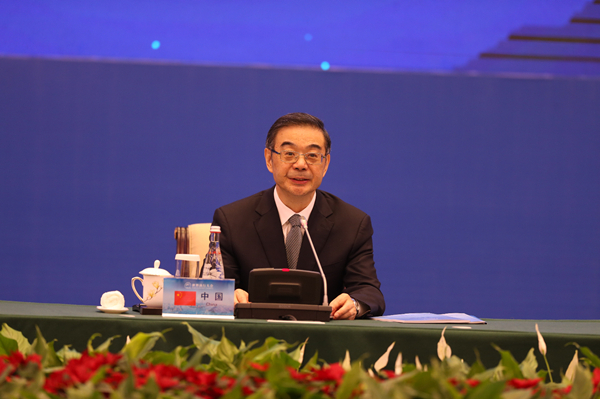 The conference was sponsored by the SPC, the Shanghai municipal committee of CPC, the Shanghai government and the Shanghai High People's Court.